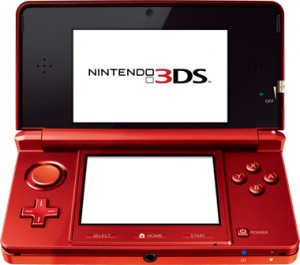 We know that Nintendo is keen to do more with the connectivity features of its upcoming 3DS, with the ability to download new content automatically via WiFi. Now a rumour has surfaced that the machine could also feature 3G technology to offer an always-on Internet connection. Ryuji Yamada, President at Japanese wireless company NTT DoCoMo, revealed in a recent interview that his company was in discussion with handheld console manufacturers about the possibility of including 3G features in their upcoming machines. He declined to name particular companies and neither Nintendo nor handheld rival Sony has given any comment, so think of this as the latest in a long line of tantalising 3DS rumours for now. As long as I don't have to pay for it, I'm in. Name me one device that offers free 3G. @irks: in terms of Amazon and Kindle-related content, yes, but to access other parts of the internet, they do charge a fee. when they say '3G internet connection', we don't know exactly which type they're going to offer us yet, as they haven't quite gone into specific detail. The cost for 3G would be worked in somewhere. If they did the amazon solution, you could only reach Nintendo content, and such content would probably have a charge associated with it (like when you buy an ebook). Nothing is free. I wouldn't be surprised either if it supported 3G in Japan, but that feature never made it anywhere else. Oh man, this is would be really cool, even if there was a monthly fee or something. I mean, I'd pay it. What's better is, Nintendo has actually talked about doing this before. So who knows? It could be the truth. Hopefully so. free 3G would be cool, a 3DSWare shop anywhere, anytime! What about a one time fee of $150? free 3G, video chat, and a few things here and there would be the death of iPhone. 3 all over the place with the 3DS. 3G, 3DS, 3-D, 3DSWARE.... awesome. What is 3G like in the states? I know where I am at, the 3G network is starting to become overloaded especially around the city and main university. Sonys new (PSP2) is the one that is going to offer 3G support. Nintendo might, but I doubt it will happen as it would recquire a monthly fee and Nintendo has a rough track record in the online market. This will also drive the 3DS price way up as well. I dont see this as a Nintendo thing. Sony stated that they have no intention of competing with the 3DS with their next handheld but more after the iPad. 3G portable gaming will be very expensive and great and Sony is always the one to go that route. 3G is great and all but by the time the 3DS comes out 4G will be the next best thing. With nintendos track record they will bring out a new system in two more years after that with 4G and still be behind the times. Now if it has updates that can support 4G and up that will be the way to go!!! @theblackdragon: If Nintendo gave 3G away for their online shop and multiplayer, but wanted to charge for browser access, I'd be 100% happy with that. I guess we'll have to wait and see, though. @Slappy: Look carefully at the article: ManufacturERS, plural. It could easily be Sony AND Nintendo. Since I first heard what they said about the 3DS' online capabilities at E3, I've been wondering how that was supposed to work with Wi-Fi. 3G is really the only logical answer for that kind of support. Nintendo's doing their best to really upsell the online on this thing, and I'm sure 3G would be a great way to do so, especially at no charge. Even the less tech-savvy, inexperienced gamers could give it a try! Would make sense. Iwata said that he did want to do that at one point. They have talked about connectivity "a lot"
It's my experience that nintendo likes to drop very subtle hints into what they say, and I believe it's very carefully calculated. Therefore I'd give this rumor a high degree of probability. Also it would be absolutely awesome if my ds was also my phone. I'm still gonna get one but I just wanna say this WOW it's 3d WOW WOW WOW WOW WOW every Nintendo Console has had 3d game since the Nintendo 64. What is the big deal about 3d? Another thing to consider is there are more and more places offering free Wifi now too. I wouldn't mind having 3G as an option, but I hope they do it by subscription instead of adding it to the cost of games/hardware. I already pay enough for a cell phone with a data plan. I don't need to pay extra somewhere connect my 3DS too. However, I never have problems with options, and if there are enough people willing to pay a subscription for the service, Ninty should offer it. @nintendonerd147: Uh, as in it's not the kind of 3D Nintendo 64 and up gave, but the kind of 3D that pops out of the screen and you would normally need glasses for? @nintendonerd147: Where have you been, man? The 3DS has 3D imaging, as opposed to the 15-year-old polygonal standard gamers know as "3D." That is to say that the images will have both a sense of depth and the occasional "pop out of the screen" effect, much like modern 3D movies do. In fact, it'd be better than paying expensive phone bills. WTH IS SO GOOD ABOUT 3G? SERIOUSLY! WHAT ARE THESE "G"s? @Nintendoftw: drop the cruise control and check out the link in #23 for an explanation regarding the name '3G'. in other words... no more finding access points and stuff? there'd be internet EVERYWHERE?!?!?!?! omg that would be like um... it'd be as awesome as if they made a sequel to super mario rpg in isometric style gameplay on the 3ds or wii! it'd be like finding apple cider in the holy grail! Though seriously, this isn't going to happen. Didn't Nintendo say that they were interested in doing something similar to Kindle, with the free Internet and all? That would be the best thing that's ever happened in my time of gaming. I would NOT mind having to pay $50 extra for 3G 3DS. course i wouldn't want to pay monthly or yearly.